Robert Smirke RA (15 April 1753 – 5 January 1845) was an English painter and illustrator, specialising in small paintings showing subjects taken from literature. He was a member of the Royal Academy. Smirke was born at Wigton near Carlisle, the son of a travelling artist. When he was twelve he was apprenticed to a heraldic painter in London, and at the age of twenty began to study at the Royal Academy Schools. In 1775 he became a member of the Incorporated Society of Artists, with which he began to exhibit by sending five works; he showed works there again in 1777 and 1778. In 1786 he exhibited Narcissus and The Lady and Sabrina ( a subject from Milton's Comus) at the Royal Academy; these were followed by many works, usually small in size, illustrative of the English poets, especially James Thomson. In 1791 Smirke was elected an associate of the Royal Academy, in which year he exhibited "The Widow". He became a full academician in 1793, when he painted as his diploma work Don Quixote and Sancho. His last contribution to the academy, entitled Infancy, appeared in 1813, but he continued to exhibit occasionally elsewhere until 1834. In 1804 he was nominated to succeed Joseph Wilton as keeper to the Royal Academy, but George III refused to sanction the appointment on account of his revolutionary political opinions, and the appointment went instead to Henry Fuseli. 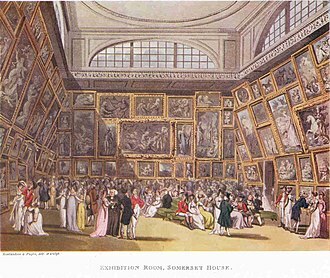 In 1815 the British Institution upset many British artists by a preface to the catalogue of their exhibition of Old Masters, The Catalogues Raisonnés, implying rather too strongly that British artists had a lot to learn from them. 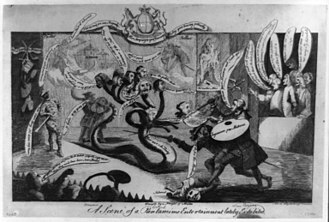 Smirke is generally accepted as the author in 1815–16 of a series of satirical "Catalogues Raisonnés", which savagely lampooned the great and the good of British art patronage. Of his sons, Richard Smirke (1778–1815), was a notable antiquarian artist. 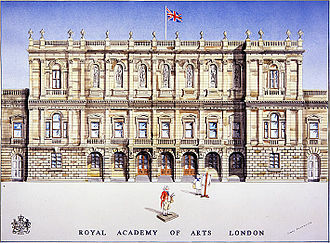 Robert and Sydney both became notable architects and were both elected members of the Royal Academy. His fourth son, Edward was a noted lawyer and antiquary. There is a portrait of Smirke by John Jackson taken from an original picture by Mary Smirke, engraved by Charles Picart. Sir William John Newton painted several miniatures of him. Smirke died at 3 Osnaburgh Terrace, Regent's Park, London, on 5 January 1845, aged 92, and was buried in Kensal Green Cemetery. Smirke's pictures were usually of small size and painted in monochrome, and so adapted for engraving. He designed illustrations for the Bible, The Picturesque Beauties of Shakespeare (1783), Johnson's Rasselas (1805), Gil Blas (1809), the Arabian Nights (1811), Adventures of Hunchback (1814), Don Quixote, (translated by his daughter, Mary Smirke, 1818), and various British poets, especially James Thomson. The Pedagogue, engraved by Joseph Goodyear for the Amulet of 1830, is typical. The Rivals was engraved by William Finden for the Keepsake of 1828; The Secret, by James Mitchell for the same annual in 1830; and The Love Letter was engraved by Alfred W. Warren for the Gem of 1830. Smirke painted also some pictures for John Boydell's Shakespeare Gallery and for Bowyer's History of England. These works included Katharine and Petruchio, Juliet and the Nurse, Prince Henry and Falstaff, and The Seven Ages. A large commemorative plate, with fifteen medallion portraits, of The Victory of the Nile was engraved by John Landseer from his design. In the Guildhall Art Gallery was a picture by him representing Conjugal Affection, or Industry and Prudence, and a series of scenes from Don Quixote. "Smirke, Robert (1752-1845)". Dictionary of National Biography. London: Smith, Elder & Co. 1885–1900. This article incorporates text from a publication now in the public domain: Chisholm, Hugh, ed. (1911). "Smirke, Robert". Encyclopædia Britannica. 25 (11th ed.). Cambridge University Press. p. 259. ^ "Robert Smirke, R.A." The Art Journal. 43: 345–346. 1891. Wikimedia Commons has media related to Robert Smirke (painter). An illustrator is an artist who specializes in enhancing writing or elucidating concepts by providing a visual representation that corresponds to the content of the associated text or idea. The illustration may be intended to clarify complicated concepts or objects that are difficult to describe textually, illustration is the art of making images that work with something and add to it without needing direct attention and without distracting from the thing they illustrate. The other thing is the focus of the attention, and the role is to add personality. A cartoon illustration can add humor to stories or essays, use reference images to create scenes and characters. This can be as simple as looking at an image to inspire artwork, or creating character sketches. Some traditional illustration techniques include watercolor and ink, airbrush art, oil painting, wood engraving, and linoleum cuts. Traditional illustration seems to have come full circle, from falling out of favor to photography in the early 1990s to being superseded by CGI, universities and art schools offer specific courses in illustration so this has become a new avenue into the profession. Many illustrators are freelance, commissioned by publishers or advertising agencies, most scientific illustrations and technical illustrations are known as information graphics. Among the information graphics specialists are medical illustrators who illustrate human anatomy, often requiring years of artistic. A particularly popular medium with illustrators of the 1950s and 1960s was casein, the immediacy and durability of these media suited illustrations demands well. The artwork in both types of paint withstood the rigors of travel to clients and printers without damage, digital illustration is the technique of using a computer to produce original artwork. Digital illustrators use a combination of software and image editing software to create computer art. Digital illustration is not merely the manipulation of images with software, computer illustration or digital illustration is the use of digital tools to produce images under the direct manipulation of the artist, usually through a pointing device such as a tablet or a mouse. Joseph Wilton RA was an English sculptor. 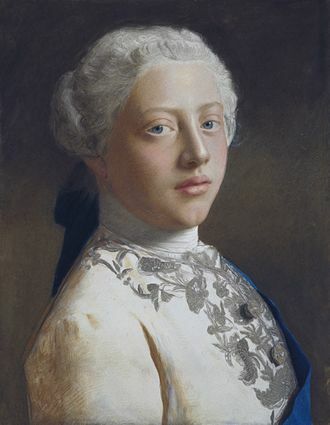 He was one of the members of the Royal Academy in 1768. His works are particularly numerous memorialising the famous Britons in Westminster Abbey, born the son of an ornamental plasterer in the Charing Cross area of London, his father had sculpted the ceilings of the Foundling Hospital there. His father wished him to be an engineer but he strongly desired to be a sculptor. Wilton initially trained under Laurent Delvaux at Nivelles, in present-day Belgium, in 1744 he left Nivelles and went to the Academy in Paris to study under Jean-Baptiste Pigalle. In 1752 he went to Italy with his sculptor friend Louis-François Roubiliac to learn to sculpt in marble, whilst in Rome he met and befriended his first patron, William Locke of Norbury, who thereafter accompanied Wilton on his tour of Italy. A marble bust of the physician and scholar Antonio Cocchi, carved by Wilton in 1755, his last year in Italy, is in the collection of the Victoria and Albert Museum. Influenced by Wiltons study of antique busts, it was considered by Margaret Whinney to be one of Wiltons most distinguished works, while in Florence he made the acquaintance of the Florentine painter Giovanni Battista Cipriani. When Wilton and the architect William Chambers returned to England, in August 1755, once back in London, Wilton was named co-director of Lennoxs Richmond House gallery, and established a workshop. He built up a practice, making busts and monuments. He made at least two busts of Oliver Cromwell, which he showed at the Society of Artists, in 1761 and 1761. One marble version, and the model for it, is in the collection of the Victoria. 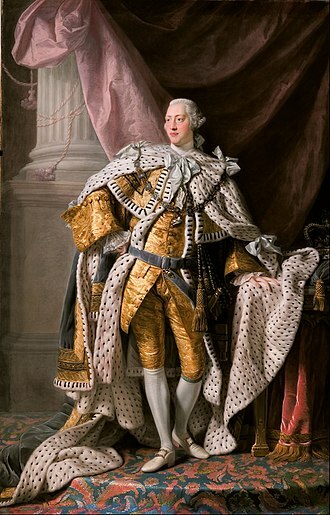 In 1761, he was first commissioned to produce a statue of King George III, similar commissions followed, including one in 1766 from New York City. 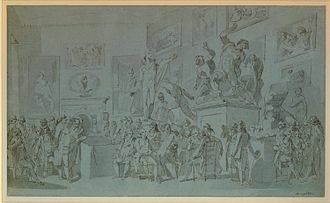 It did not last long, being torn down by patriots in July 1776, Wiltons other works include many notable busts and other carvings including fireplaces and tables. 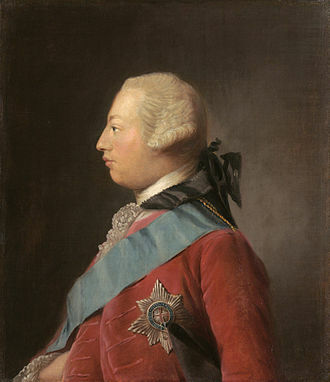 In 1768, when Wilton was perhaps at the peak of his powers, that year saw him inherit his fathers fortune and the new wealth diverted him away from sculpture to a life of dissolution. In 1786 he was forced to sell most of his possessions, in 1790 he was appointed Keeper of the Royal Academy, a post he kept until his death in 1803. A Midsummer Nights Dream is a comedy written by William Shakespeare in 1595/96. It portrays the events surrounding the marriage of Theseus, the Duke of Athens, to Hippolyta, the former queen of the Amazons. These include the adventures of four young Athenian lovers and a group of six actors who are controlled and manipulated by the fairies who inhabit the forest in which most of the play is set. The play is one of Shakespeares most popular works for the stage and is performed across the world. The play opens with Hermia, who is in love with Lysander, resistant to her father Egeus demand that she wed Demetrius, Helena meanwhile pines unrequitedly for Demetrius. Enraged, Egeus invokes an ancient Athenian law before Duke Theseus, whereby a daughter must marry the suitor chosen by her father, Theseus offers her another choice, lifelong chastity while worshipping the goddess Artemis as a nun. Quince reads the names of characters and bestows them to the players, nick Bottom, who is playing the main role of Pyramus, is over-enthusiastic and wants to dominate others by suggesting himself for the characters of Thisbe, the Lion, and Pyramus at the same time. 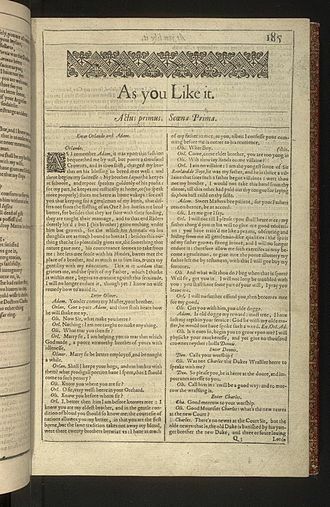 He would rather be a tyrant and recites some lines of Ercles, Bottom is told by Quince that he would do the Lion so terribly as to frighten the duchess and ladies enough for the Duke and Lords to have the players hanged. Quince ends the meeting with at the Dukes oak we meet, in a parallel plot line, king of the fairies, and Titania, his queen, have come to the forest outside Athens. 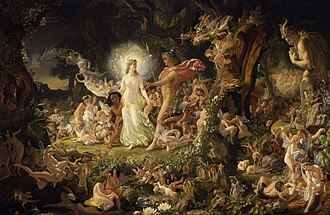 Titania tells Oberon that she plans to stay there until she has attended Theseus and Titania are estranged because Titania refuses to give her Indian changeling to Oberon for use as his knight or henchman, since the childs mother was one of Titanias worshippers. Oberon seeks to punish Titanias disobedience, when the concoction is applied to the eyelids of a sleeping person, that person, upon waking, falls in love with the first living thing they perceive. 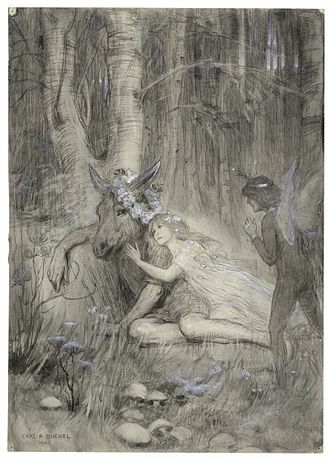 He instructs Puck to retrieve the flower with the hope that he might make Titania fall in love with an animal of the forest and thereby shame her into giving up the little Indian boy. Sir John Falstaff is a fictional character who appears in three plays by William Shakespeare. In the plays Henry IV, Part 1 and Part 2, he is a companion to Prince Hal, in The Merry Wives of Windsor, he is the buffoonish suitor of two married women. Though primarily a figure, Falstaff still embodies a kind of depth common to Shakespeares major characters. A fat, vain and cowardly knight, he spends most of his time drinking at the Boars Head Inn with petty criminals, Falstaff leads the apparently wayward Prince Hal into trouble, and is ultimately repudiated after Hal becomes king. Falstaff has since appeared in media, notably in operas by Giuseppe Verdi, Ralph Vaughan Williams and Otto Nicolai. The operas focus on his role in The Merry Wives of Windsor, while the film adapts from the Henriad, who played Falstaff in his film, considered the character to be Shakespeares greatest creation. Falstaff appears in three of Shakespeares plays, Henry IV, Part 1, Henry IV, Part 2 and his death is mentioned in Henry V but he has no lines, nor is it directed that he appear on stage. However, many stage and film adaptations have seen it necessary to include Falstaff for the insight he provides into King Henry Vs character. The most notable examples in cinema are Laurence Oliviers 1944 version and Kenneth Branaghs 1989 film, the character is known to have been very popular with audiences at the time, and for many years afterwards. According to Leonard Digges, writing shortly after Shakespeares death, while many plays could not get good audiences, but let Falstaff come, Poins, adding to King Henrys troubles is the behaviour of his son and heir, the Prince of Wales. Hal has forsaken the Royal Court to waste his time in taverns with low companions and this makes him an object of scorn to the nobles and calls into question his royal worthiness. Hals chief friend and foil in living the low life is Sir John Falstaff, old and corrupt as he is, he has a charisma and a zest for life that captivates the Prince. The play features three groups of characters that interact slightly at first, and together in the Battle of Shrewsbury. The Dictionary of National Biography is a standard work of reference on notable figures from British history, published from 1885. The updated Oxford Dictionary of National Biography was published on 23 September 2004 in 60 volumes and he approached Leslie Stephen, editor of the Cornhill Magazine, owned by Smith, to become editor. 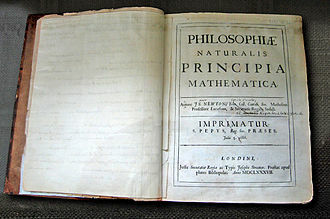 Stephen persuaded Smith that the work should focus on subjects from the UK and its present, an early working title was the Biographia Britannica, the name of an earlier eighteenth-century reference work. The first volume of the Dictionary of National Biography appeared on 1 January 1885, in May 1891 Leslie Stephen resigned and Sidney Lee, Stephens assistant editor from the beginning of the project, succeeded him as editor. While much of the dictionary was written in-house, the DNB relied on external contributors, by 1900, more than 700 individuals had contributed to the work. Successive volumes appeared quarterly with complete punctuality until midsummer 1900, when the series closed with volume 63, the year of publication, the editor and the range of names in each volume is given below. The supplements brought the work up to the death of Queen Victoria on 22 January 1901. The dictionary was transferred from its original publishers, Elder & Co. to Oxford University Press in 1917, until 1996, Oxford University Press continued to add further supplements featuring articles on subjects who had died during the twentieth century. The supplements published between 1912 and 1996 added about 6,000 lives of people who died in the century to the 29,120 in the 63 volumes of the original DNB. In 1993 a volume containing missing biographies was published and this had an additional 1,000 lives, selected from over 100,000 suggestions. Consequently, the dictionary was becoming less and less useful as a reference work, in 1966, the University of London published a volume of corrections, cumulated from the Bulletin of the Institute of Historical Research. There were various versions of the Concise Dictionary of National Biography, the last edition, in three volumes, covered everyone who died before 1986. John Milton was an English poet, man of letters, and civil servant for the Commonwealth of England under Oliver Cromwell. He wrote at a time of flux and political upheaval. Miltons poetry and prose reflect deep personal convictions, a passion for freedom and self-determination, Samuel Johnson praised Paradise Lost as a poem which. The phases of Miltons life parallel the major historical and political divisions in Stuart Britain, the Restoration of 1660 deprived Milton, now completely blind, of his public platform, but this period saw him complete most of his major works of poetry. Miltons views developed from his extensive reading, as well as travel and experience. By the time of his death in 1674, Milton was impoverished and on the margins of English intellectual life, yet famous throughout Europe, John Milton was born in Bread Street, London on 9 December 1608, the son of composer John Milton and his wife Sarah Jeffrey. 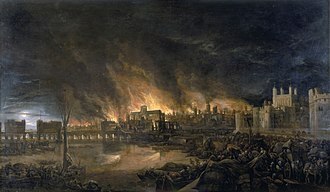 The senior John Milton moved to London around 1583 after being disinherited by his devout Catholic father Richard Milton for embracing Protestantism, in London, the senior John Milton married Sarah Jeffrey and found lasting financial success as a scrivener. He lived in and worked from a house on Bread Street, the elder Milton was noted for his skill as a musical composer, and this talent left his son with a lifelong appreciation for music and friendships with musicians such as Henry Lawes. 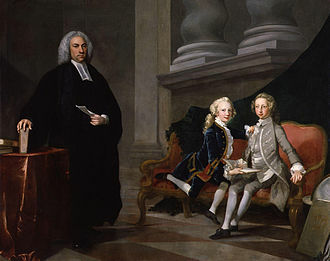 Miltons fathers prosperity provided his eldest son with a tutor, Thomas Young. Research suggests that Youngs influence served as the introduction to religious radicalism. After Youngs tutorship, Milton attended St Pauls School in London, there he began the study of Latin and Greek, and the classical languages left an imprint on his poetry in English. Miltons first datable compositions are two psalms done at age 15 at Long Bennington, one contemporary source is the Brief Lives of John Aubrey, an uneven compilation including first-hand reports. In the work, Aubrey quotes Christopher, Miltons younger brother, When he was young, he studied hard and sat up very late. In 1625, Milton began attending Christs College, Cambridge and he graduated with a B. A. in 1629, and ranked fourth of 24 honours graduates that year in the University of Cambridge. Kensal Green Cemetery is in Kensal Green in the Royal Borough of Kensington and Chelsea in London, England. Inspired by the Père Lachaise Cemetery in Paris, it was founded by the barrister George Frederick Carden, the cemetery opened in 1833 and comprises 72 acres of grounds, including two conservation areas, adjoining a canal. The cemetery is home to at least 33 species of bird and this distinctive cemetery has memorials ranging from large mausoleums housing the rich and famous to many distinctive smaller graves and includes special areas dedicated to the very young. It has three chapels, and serves all faiths, despite its Grecian-style buildings the cemetery is primarily Gothic in character, due to the high number of private Gothic monuments. Due to this atmosphere, the cemetery was the location of several scenes in movies. The cemetery is located in the London Borough of Kensington & Chelsea, the cemetery lies between Harrow Road and the Grand Union Canal. There is a set of gates set in the southern wall to the cemetery which is adjacent to the canal. Public meetings were held in June and July 1830 at the Freemasons Tavern, Paul, a partner in the London banking firm of Strahan, Paul and Bates, found and conditionally purchased the 54 acres of land at Kensal Green for £9,500. However and Carden were already embroiled in a dispute regarding the design of the cemetery, where Paul favoured the Grecian style and Carden the Gothic style. This attracted 46 entrants, and in March 1832 the premium was awarded, despite opposition, for a Gothic Revival design by Henry Edward Kendall. On 11 July 1832, the Act of Parliament establishing a General Cemetery Company for the interment of the Dead in the Neighbourhood of the Metropolis gained Royal Assent. The Act authorised it to raise up to £45,000 in shares, buy up to 80 acres of land and build a cemetery, Company directors appointed after the Bill received Royal Assent asserted their control and preference for a different style. Founded as the General Cemetery of All Souls, Kensal Green, Kensal Green Cemetery was consecrated on 24 January 1833 by the Bishop of London, receiving its first funeral the same month. Henry Fuseli, 1778. 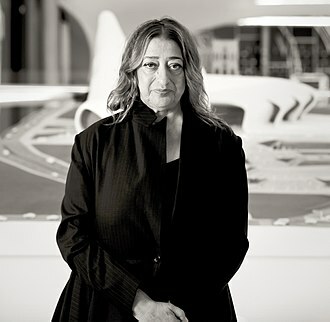 Portrait by James Northcote. Thor Battering the Midgard Serpent was Fuseli's diploma work for the Royal Academy, accepted 1790. The main block and facade of the British Museum was designed by Robert Smirke. Boydell eventually made £15,000 from William Woollett's 1776 print of Benjamin West's Death of General Wolfe (1770), much of it from exports. Watercolor illustration: Orlando pins love poems on the trees of the forest of Arden. Samuel Foote, portrait by Jean-François Gilles Colson. Charles Macklin as Shylock by Johann Zoffany. Scene from Taste in a painting by Robert Smirke. Lady Pentweazel, played by Foote, wore a large headdress, satirizing the elaborate headdresses of the day, with feathers that fell out throughout the play. The frontispiece of The Seasons by James Thomson. Published by Alexander Donaldson. Joshua Reynolds was a member of the Society (self portrait c. 1748).